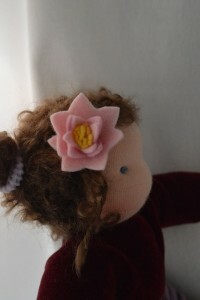 This doll I made for a little girl with the name Nilou, since this actually means waterlily I got a special request to make her a little waterlily for her hair. 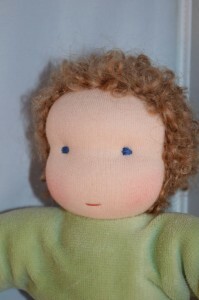 I really love how this doll now has become very personal and special for Nilou. This doll is custom made for a new born baby. 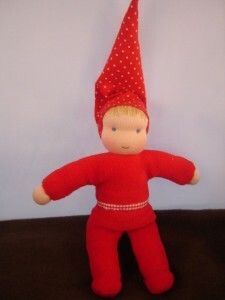 If you are really quite you may see this little gnome under the oaktree. 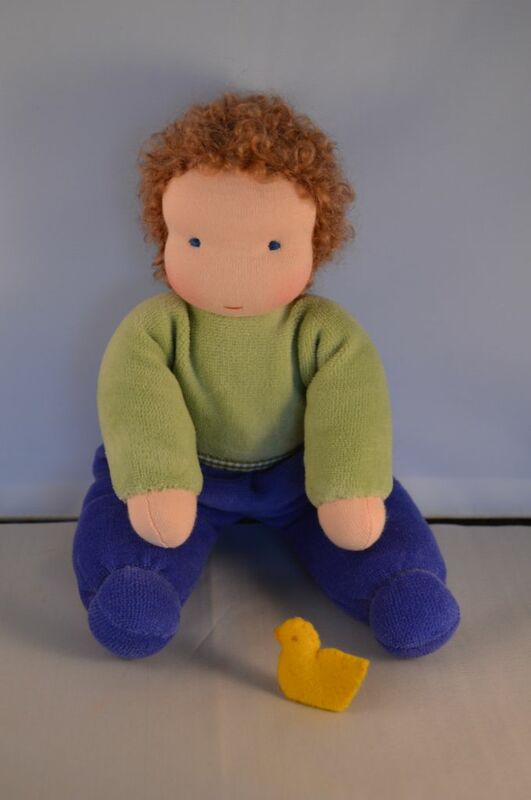 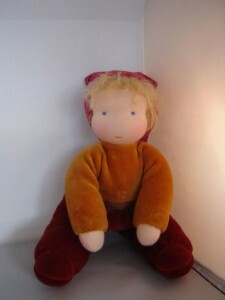 He is a little bit shy, but ones you win his hart he will be lifelong companion. 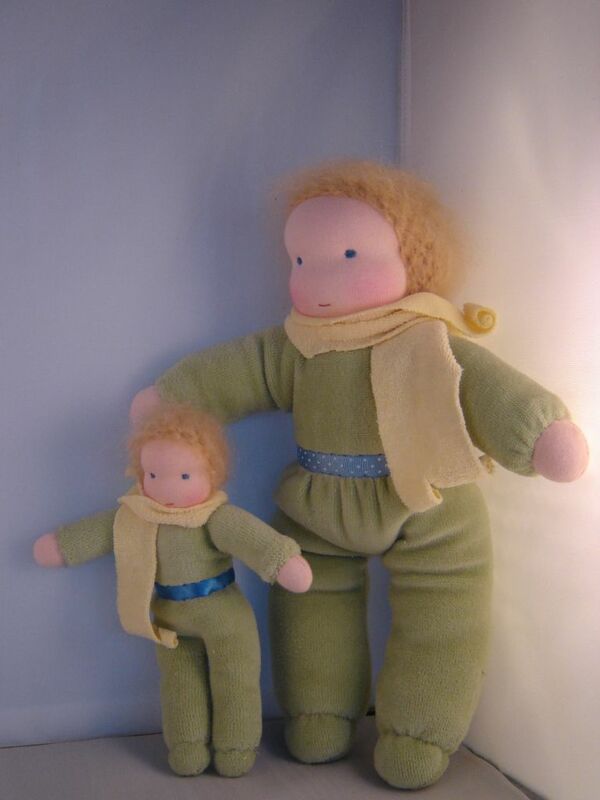 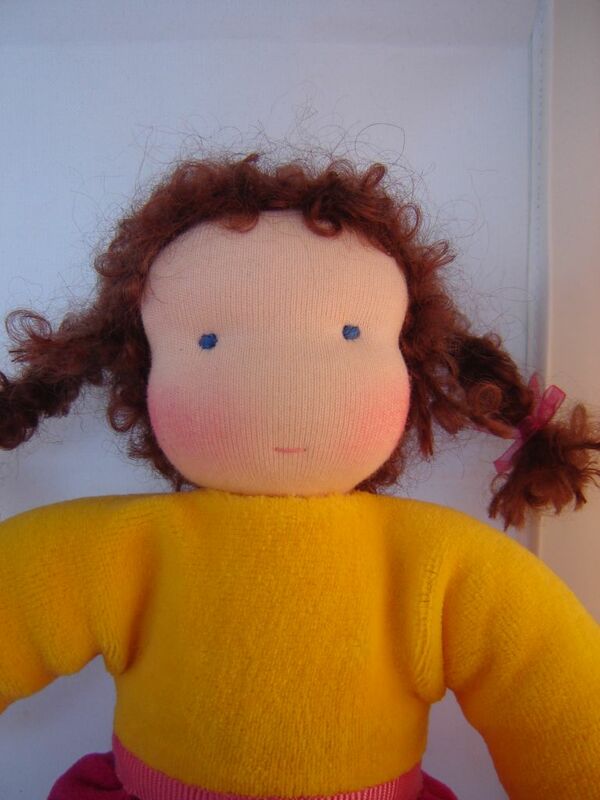 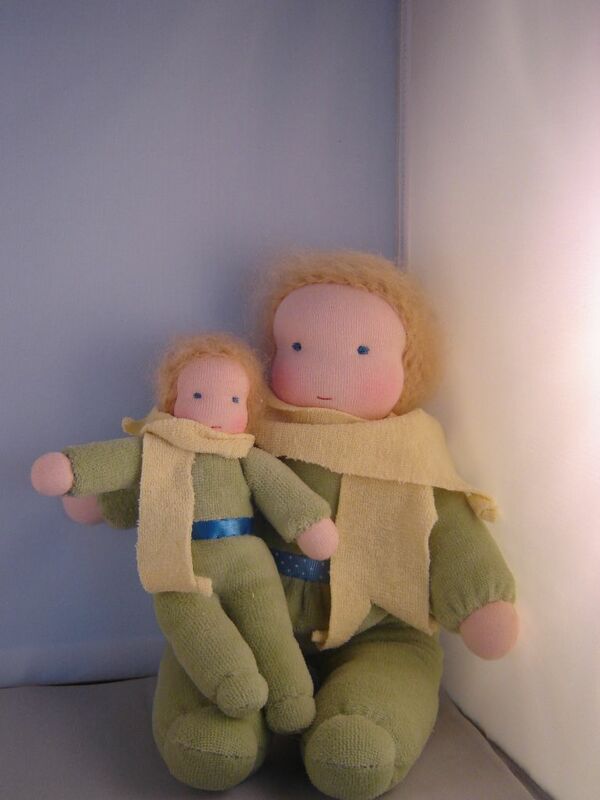 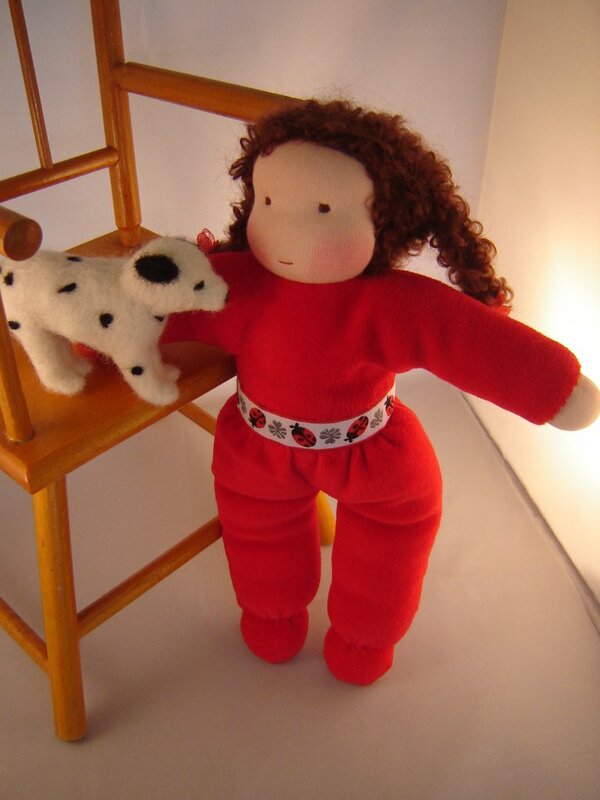 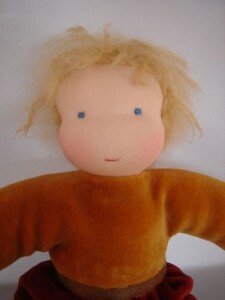 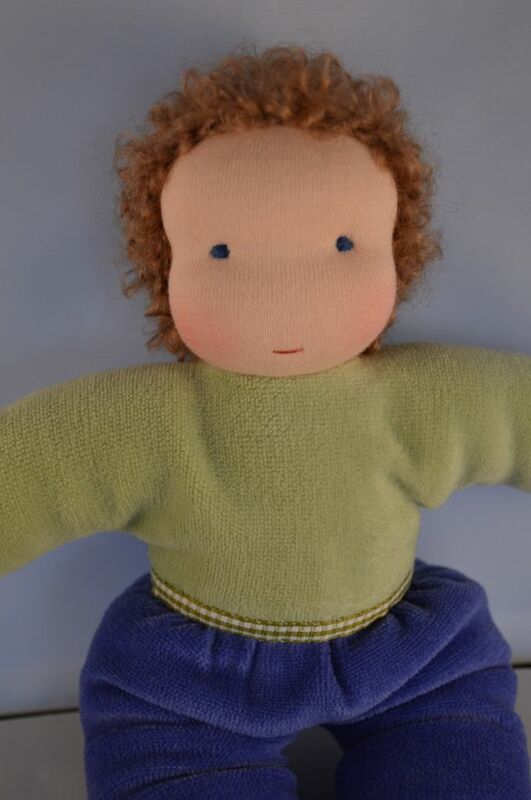 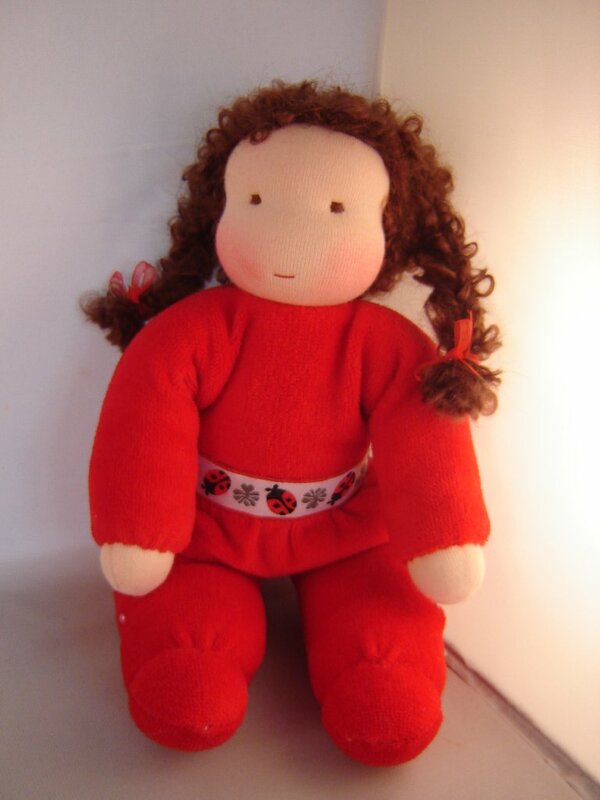 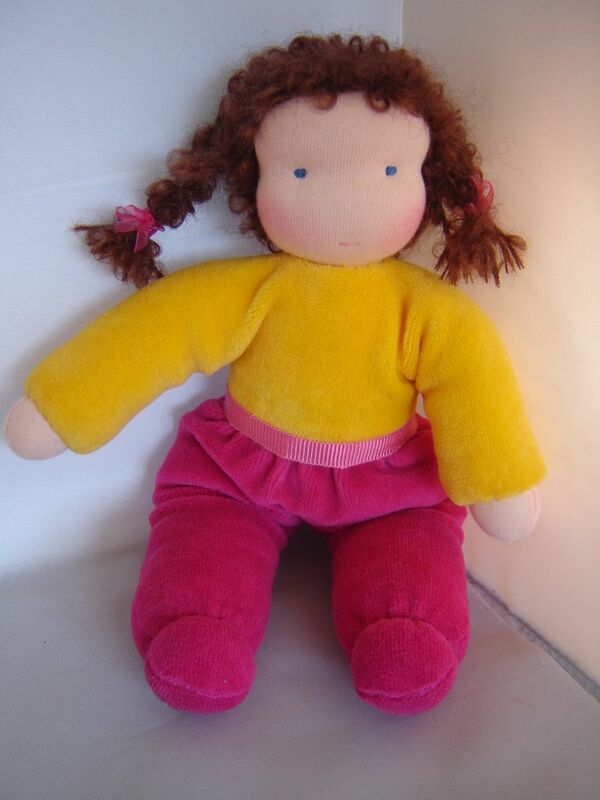 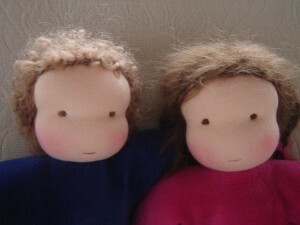 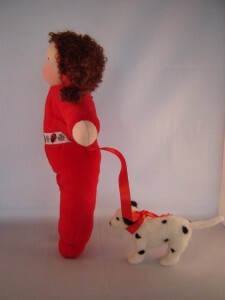 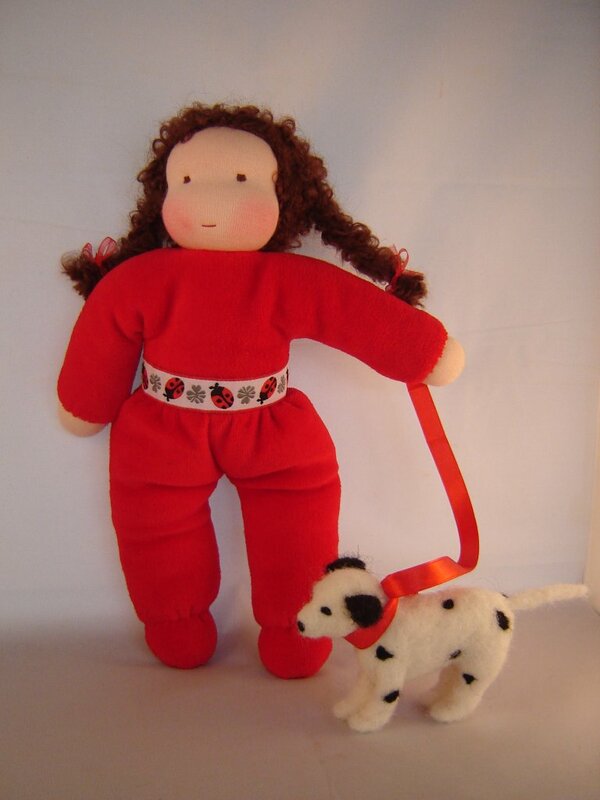 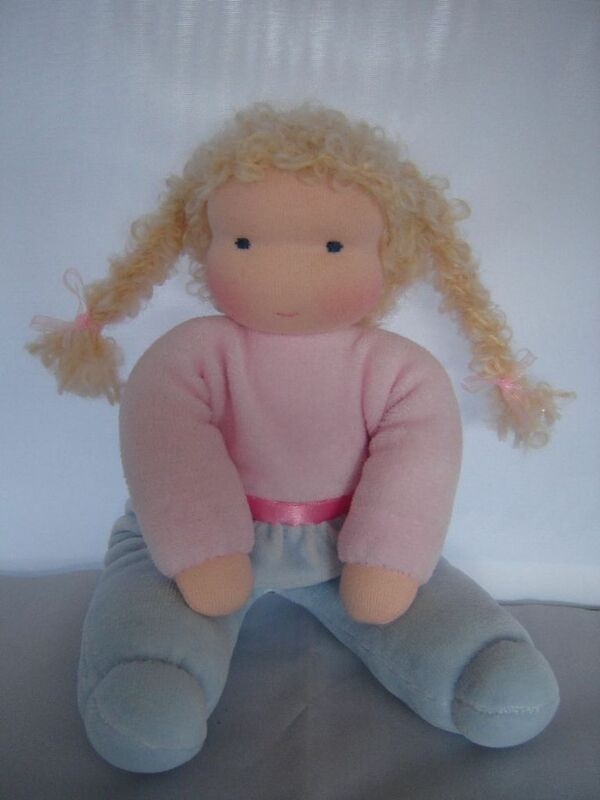 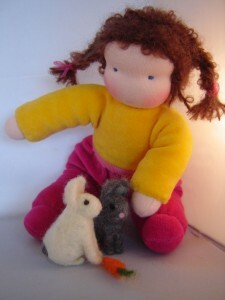 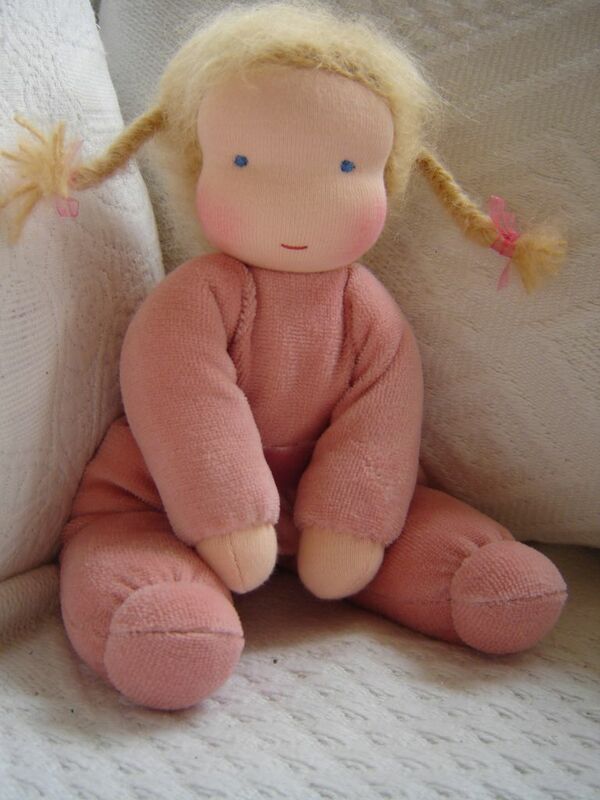 This cuddle doll was made for a little girl. 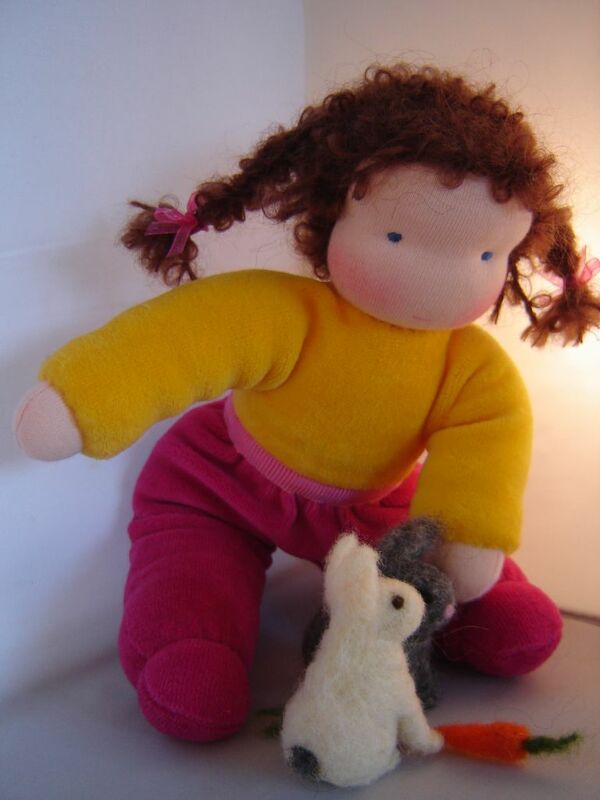 This little lady found a little Dalmatian friend in my attic where I work. They became best friends and now they take long walks together and have so much fun. 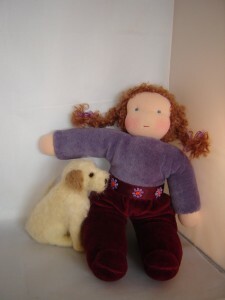 Custom made Cuddle doll and needle felted dog. 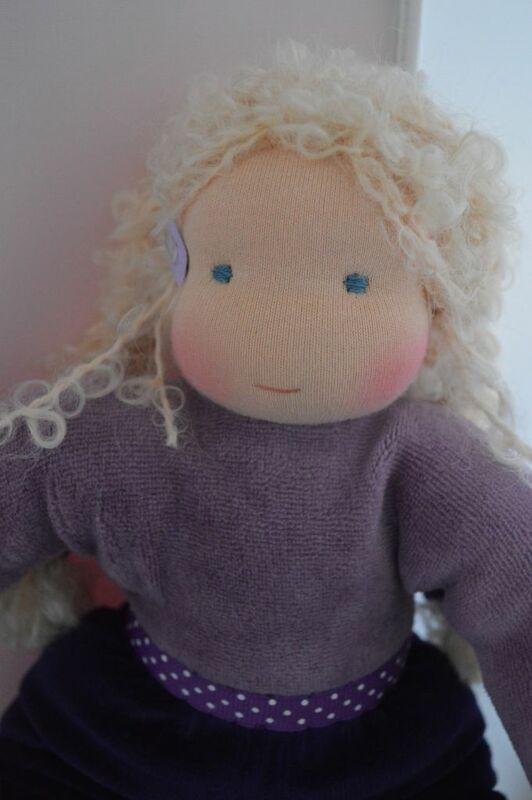 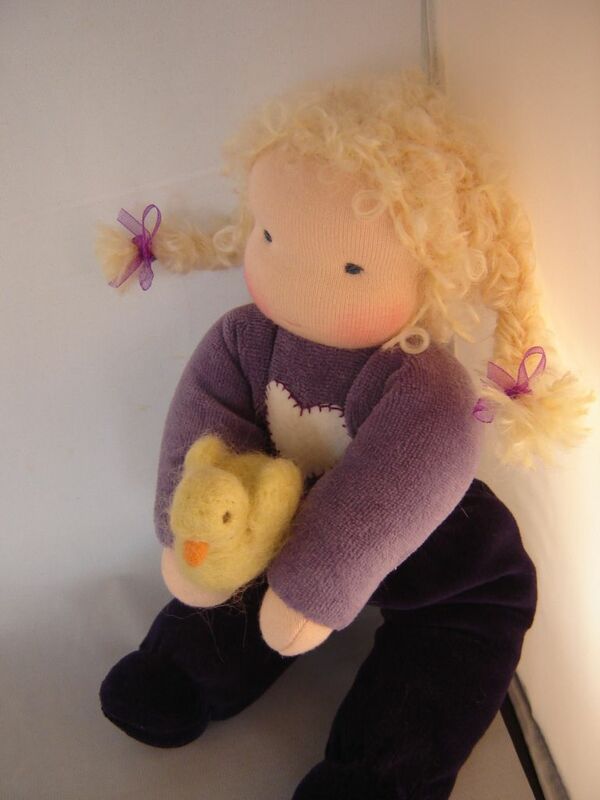 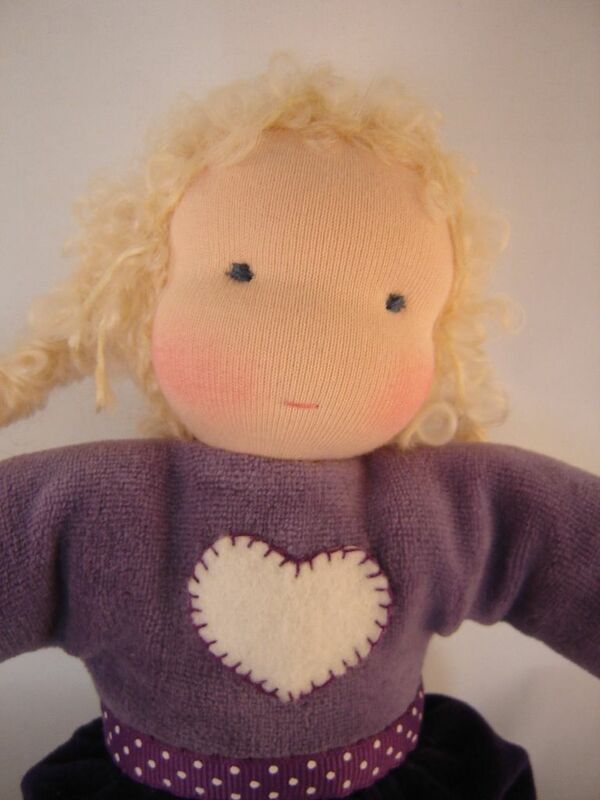 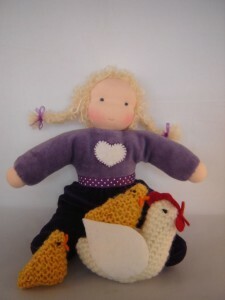 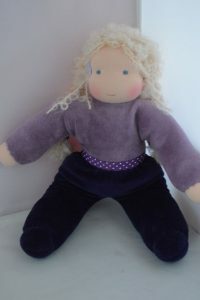 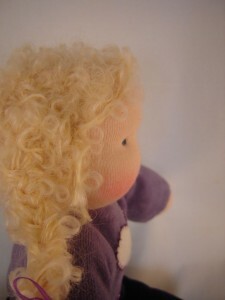 For a little girl that will turn one soon I made this soft purple doll to hold and to cuddle. 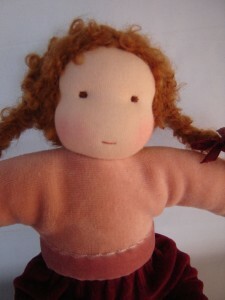 This doll is custom made. 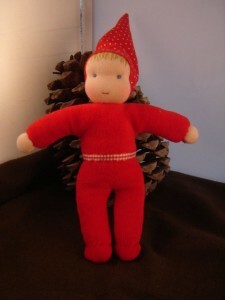 This Gnome doll I made for a little boy. 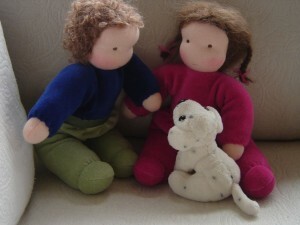 He loved the doll I made for his big sister so much that now he is getting his own little friend. 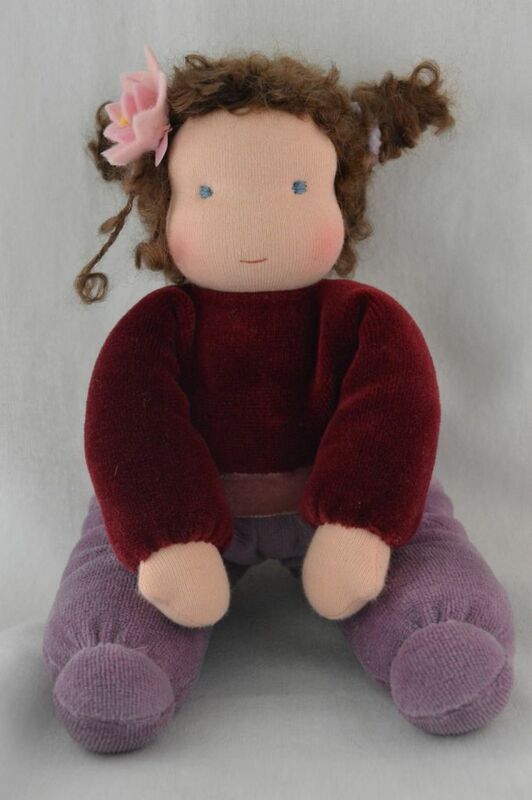 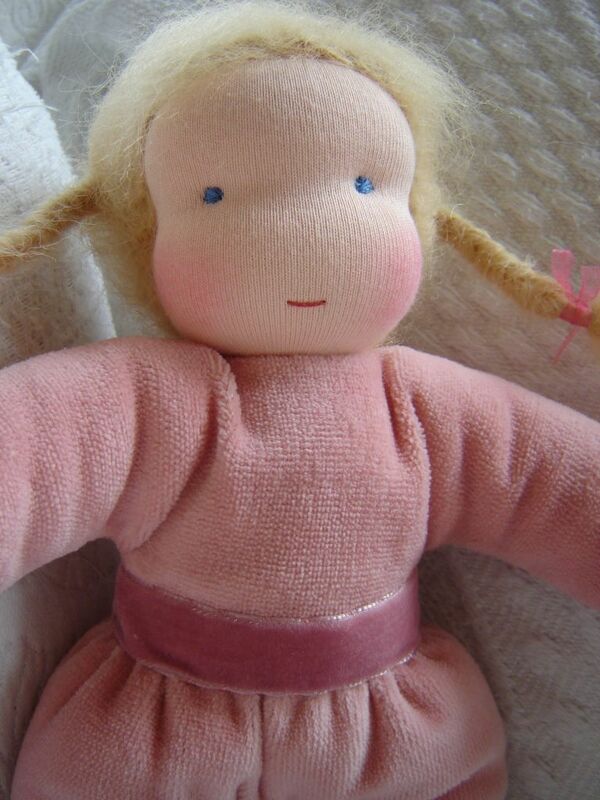 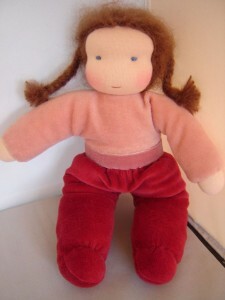 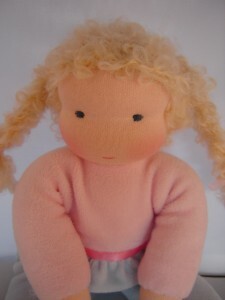 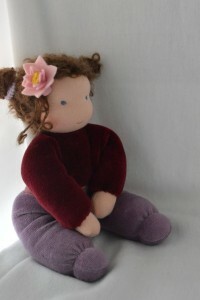 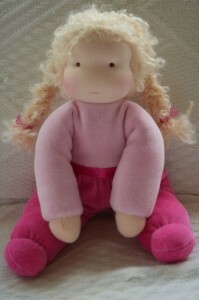 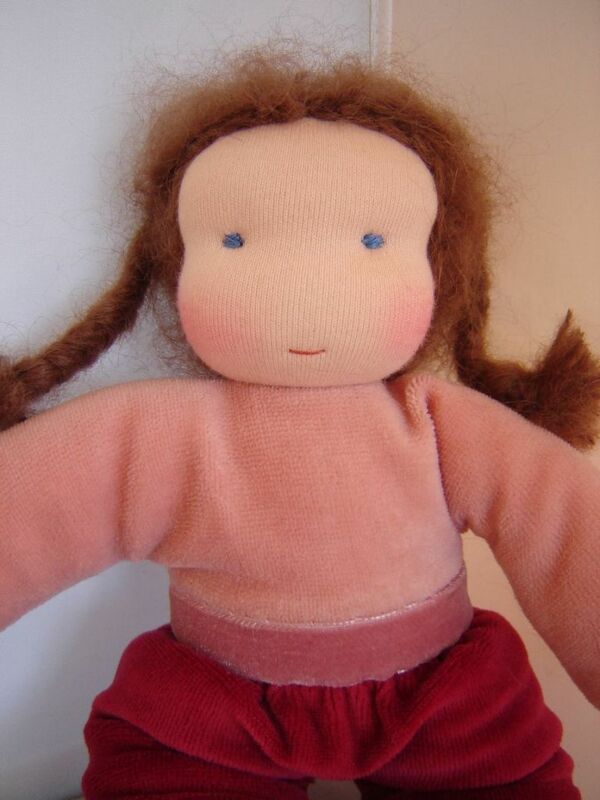 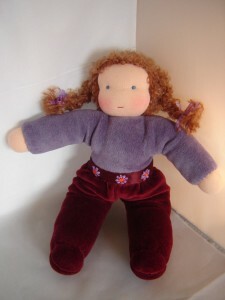 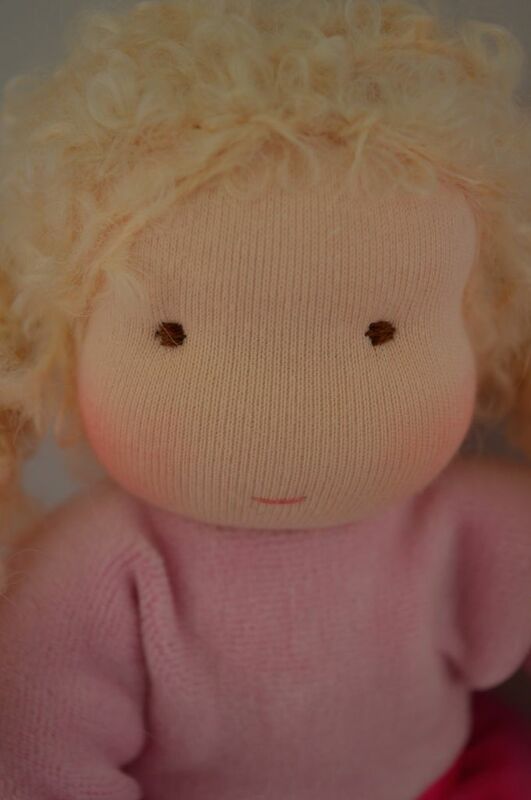 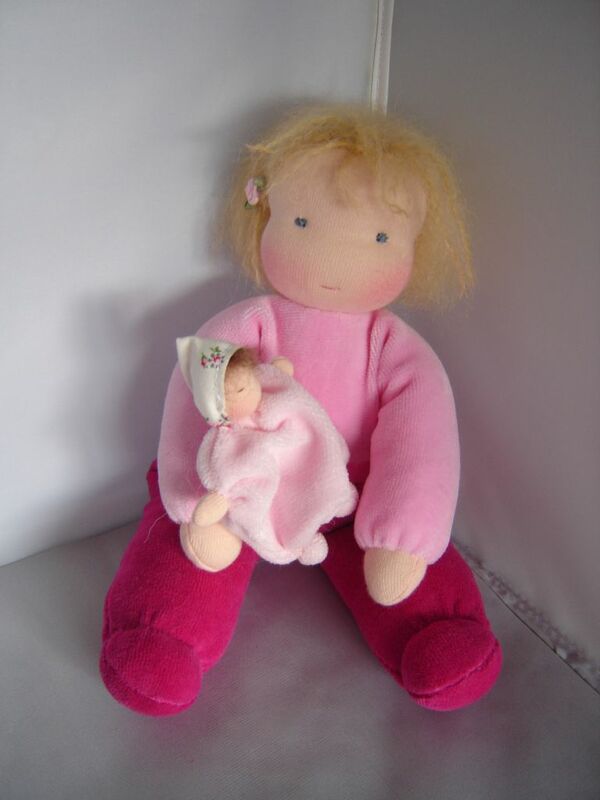 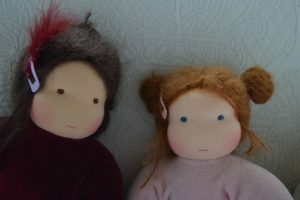 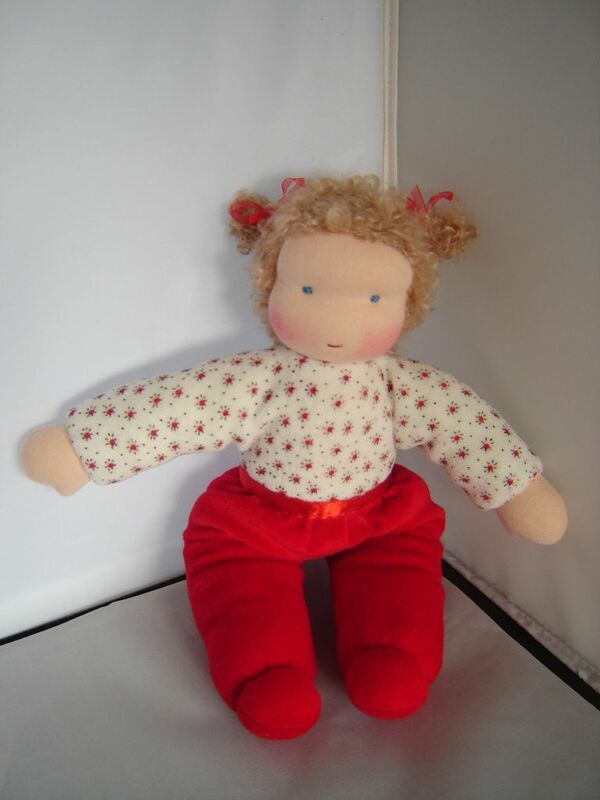 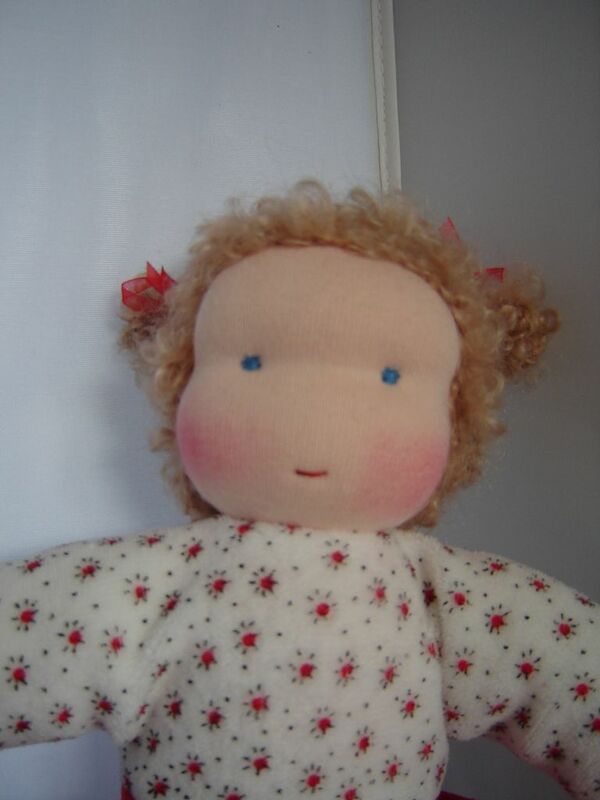 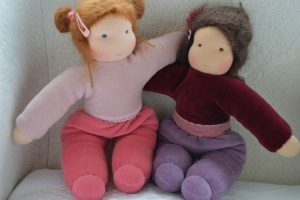 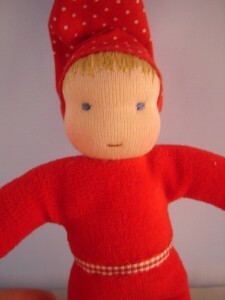 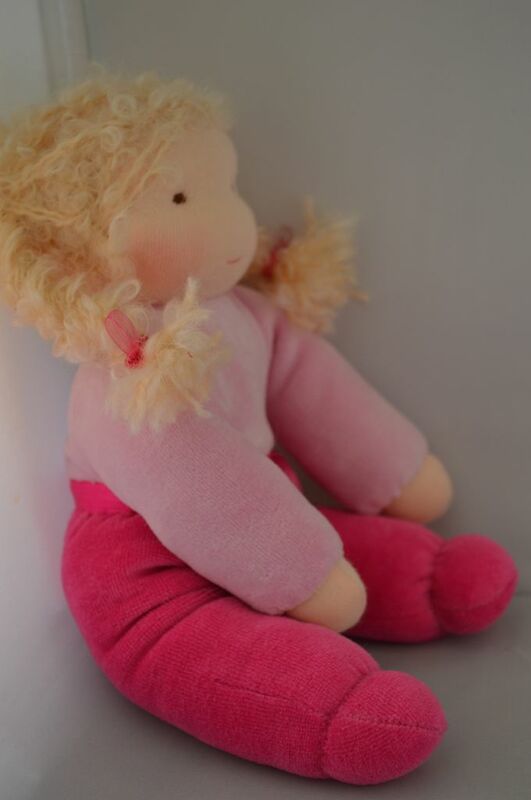 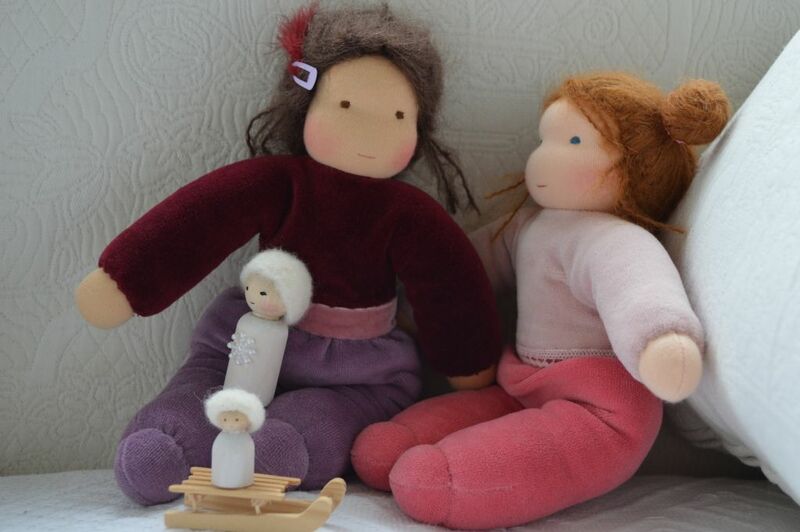 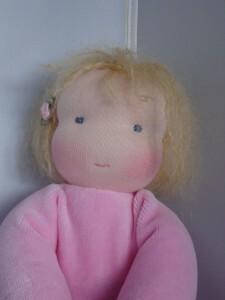 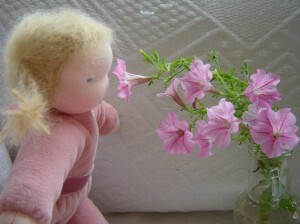 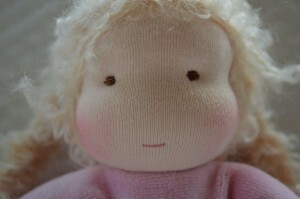 This little girl is made of soft velours in a beautiful soft pink combined with a bourgondy red. 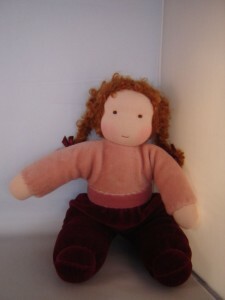 I made her for a little girl named Elvira. 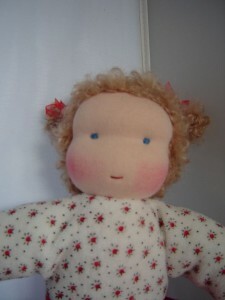 This sweet girl is custom made and it is the first time I added a littel thumb. 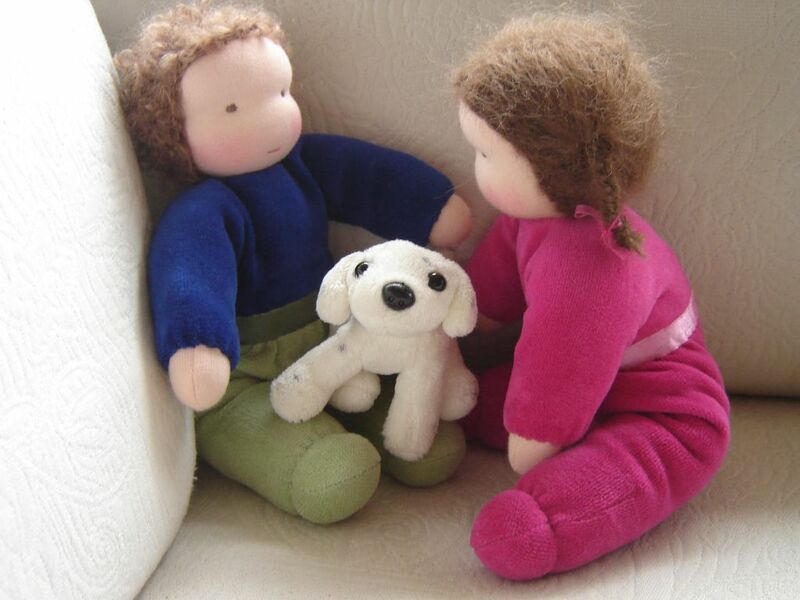 Before these two little dolls were travelling to their new homes they had a little spare time to play with the doggy. 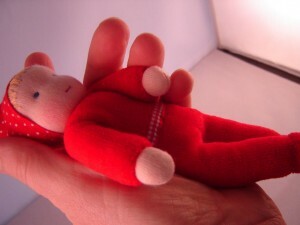 “Are you awake yet ? 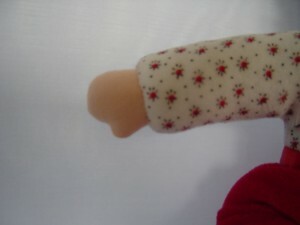 Come to mama” she said and took the little baby from its cradle. 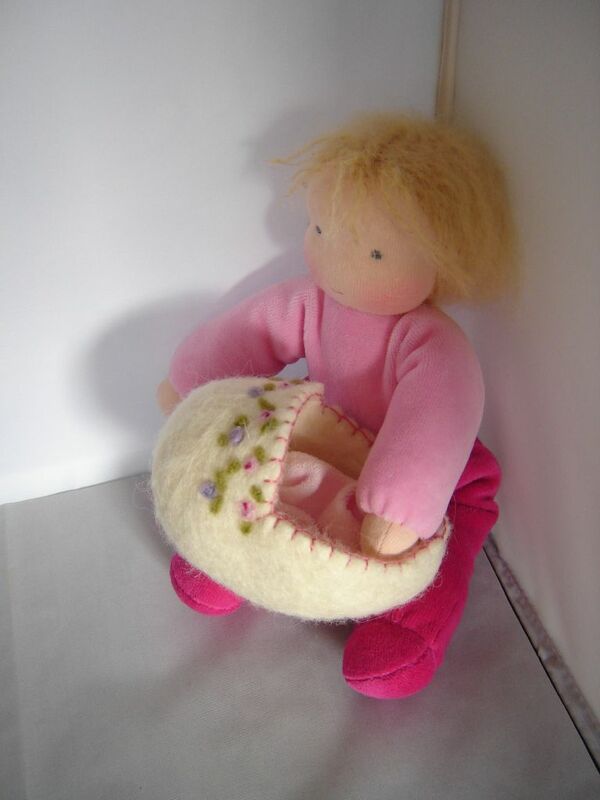 This pink little girl instantly fell in love with the little baby in its crib. Two little Princes custom made.